The 2016 Fun Run was a Huge Success! 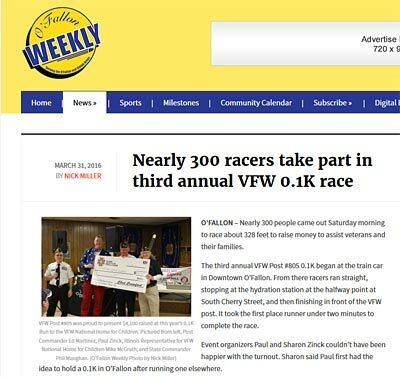 On Saturday March 26, 2016, 281 registrants, along with supporting sponsors, raised $3600 to help veteran and military families through VFW Post 805 and the VFW National Home for Children. Download the Registration Form and Enter Now!